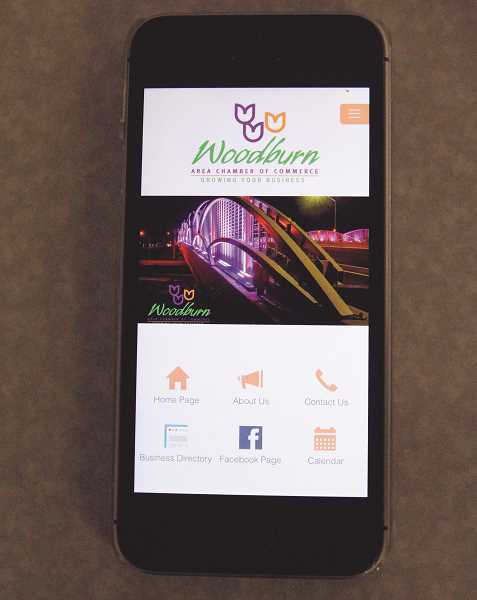 The Woodburn Area Chamber of Commerce has launched its own smartphone app. Executive Director Stuart Rodgers said the addition of the app is part of a broader initiative to "revamp (our) digital presence" in 2017. This initiative also includes enhancing the Chamber's website and weekly e-blasts. The Chamber has been supported through this effort by J Turner Solutions. Downloading the app provides access to member contact information through an online business directory, as well as notifications members and non-members can subscribe to and receive event reminders for Greeters, Business After Hours, forum lunches, Chamber 101 workshops and more. "The idea is to get this app in the hands of members and prospects and extend our digital influence by proactively communicating to our area business community what the Chamber is doing," Rodgers said in an email. To download the new app, search "Woodburn Chamber" in your Android, Apple, or Google Play app stores.